Five Oaks was designed by the noted Cleveland architect, Charles F. Schweinfurth, and built 1802-1894 for Mr. and Mr. Walter McClymonds. The exterior is an ecletic type of architecture. There are features of Gothic, Romanesque, Tudor and French Renaissance. 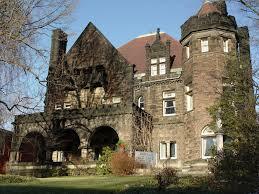 The sandstone of the house, as well as the wall surrounding the lot, was quarried at the northwest edge of Massillon. Three entrances lead to the grand hall and it imposing staircase. Five fireplaces, each with decorated mante and unique marble facing, grace the first floor. Wood of mahogany and oak, all hand carved, is used for finishing and decorating on the first floor. Walls are painted and stenciled or decorated, many in, gold leaf and some in silver. The second floor consists of a large central hall of which doorways lead to five bedrooms. 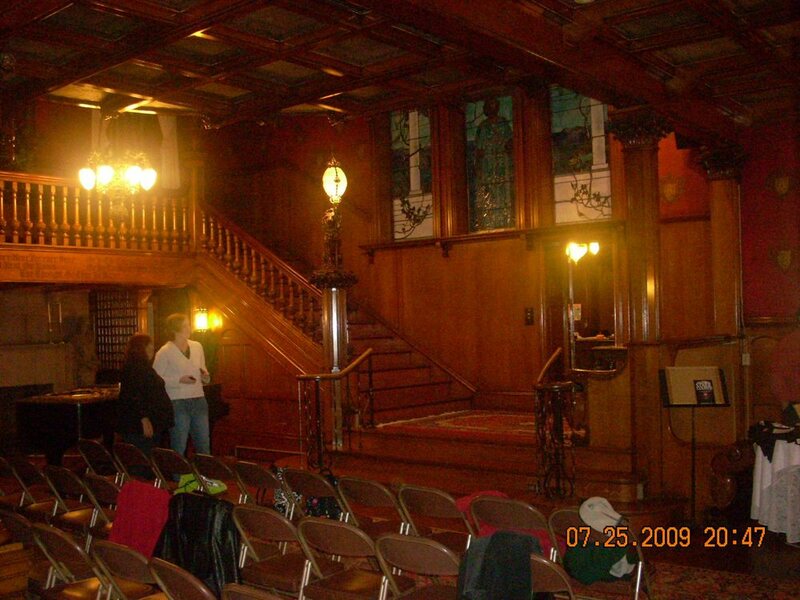 The third floor has a ballroom, minstrel balcony and two rooms that were used for card playing and serving refreshments. Five Oaks was given to the women of Massiollon in the name of the Massillon Woman's Club in 1924. Since that time the Woman's Club has devotely cared for thehouse and grounds.